Since the advent of the latest technologies, mobile phone users have been taking advantage of virtually every feature that the manufacturer has to offer. Also, because many of these mobile devices are nothing less than hand held computers, the user can make modifications and changes as they need or desire. In many cases, the functions that a mobile owner uses can help with saving them both time and money. This is because there are functions and features that allows them to add, change and manage their own data. That said, this is one of the top reasons why users may want to save their Android contact information as an HTML file. Then, do you know how to save Android phone contacts as an HTML file so that you can view and manage Android contacts on computer? MobiKin Assistant for Android or Assistant for Android (Mac Version) provides each user with a variety of different useful and essential functions that Android users can take advantage of today. From transferring contact information, music files, photos, videos, apps and text messages to their desktop or laptop computers and vice versa, to exporting contact information in a HTML file format, there is a lot that these users can do when they have a need to transfer, print and store information from their Android mobile devices. 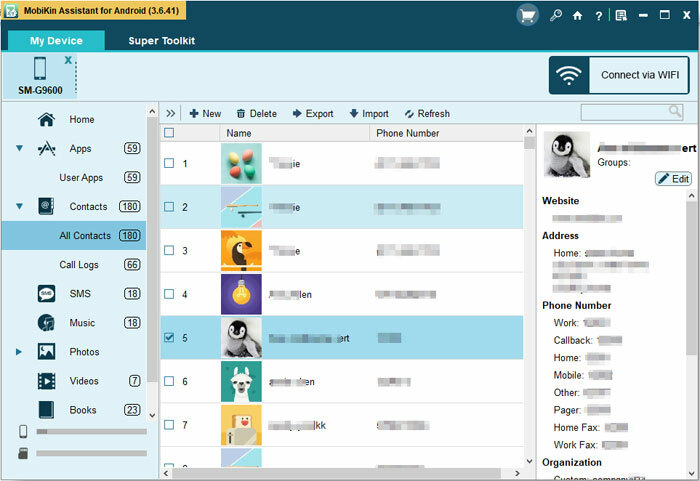 What's more, it allows you to import contacts from computer to Android, edit Android contacts on computer, delete Android contacts on computer and many more contact managing needs. Assistant for Android supports overall Android devices, including Samsung, HTC, Sony, LG, Motorola, ZTE, Huawei and so on. And we also have guides to help you save HTC contacts in CSV and export Samsung contacts to CSV. With a 1 to 3 step process, the contact information can be saved in an HTML format for use by those who need this information. That said, here are the 3 steps referenced for you to save your Android contacts as HTML file. How to Transfer Android Contacts to Computer in HTML Format? 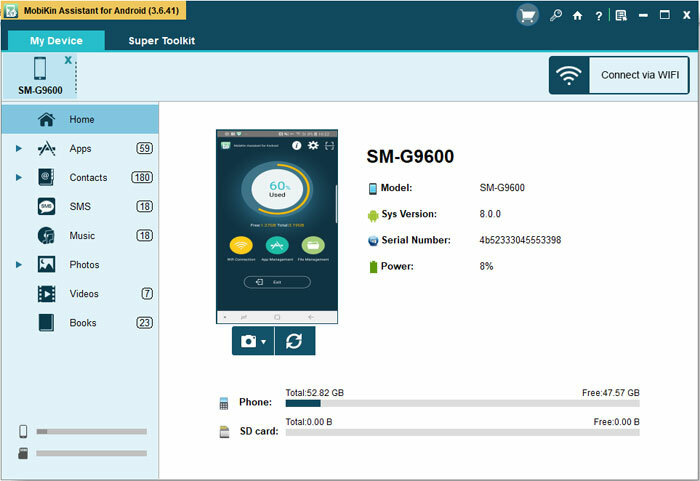 The user will need to connect their Android phone to their laptop or desktop computer. Launch the installed Assistant for Android to get ready. The option that they choose will be based on where they want their HTML file to reside. After the Android device has been connected to their computer (desktop or laptop), the next step is to go the Contact window to make the changes needed. At the contact window the user will see the list of their contacts, and they can pick and choose the contacts that they want to export to an HTML file. Once the contacts have been selected, the user will need to click on Export button, and then save the data as HTML file in your specific file folder on your computer.